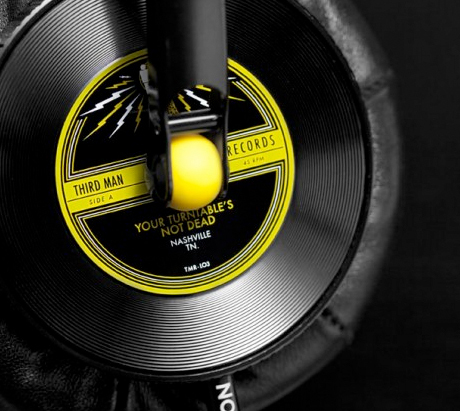 These Third Man headphones are pretty badass, huh? Made in collaboration with Nixon. I want them. Radiohead guitarist Johnny Greenwood has some instrumental performances on the horizon in London and New York. On October 18, Greenwood will appear with other composers at London’s Royal Albert Hall for the benefit Concert for Care, according to NME. And Greenwood’s piece “Doghouse” gets its U.S. premiere as part of the Wordless Music Series on May 20 and 21 at the New York Society for Ethical Culture. News that Tom Waits is releasing an interesting new record of his Collaboration with the Preservation Hall Jazz Band is reason enough to get excited, but the really interesting part? It’s 78rpm, and he’s also releasing a record player with the ability to play at 78rpm too! The Rolling Stones are working on some wax of their own — they’re releasing limited-edition box sets of all their albums and additional EPs on November 22. The Guardian has been doing some really interesting music reporting lately. In one recent piece, they wondered why classic albums from beloved hip-hop acts aren’t getting the deluxe reissue treatment that artists of other genres are enjoying. While the landmark records of rock, jazz, blues and soul have been reissued, repackaged and recontextualised, hip-hop’s classic material remains under lock and key. The same record companies that have done such a fine job of exploring the heritage of other genres seem largely oblivious to the riches in their hip-hop catalogues. More than 31 years after the first rap record, there is still, as yet, no hip-hop equivalent of the Beatles Anthology series; no career-retrospective boxset from giants of the music’s golden age such as Public Enemy, KRS-One or Rakim. Sometimes it even looks as if hip-hop’s past is being erased before fans’ eyes. Electro-band Chromeo have announced their Risky Business tour, and it features stops in Quebec, Toronto, and more. Check out the full dates through the link! A friend asked David from Sing Leaf to write a song for his niece — one that would remain unheard for years, waiting in a time capsule. The concept took off and Generation Ship is the result. The charity album features songs about today, for future generations, by artists like Rich Aucoin and Sing Leaf. All proceeds from sales of the album go to Eat To Feed Librarians, which operates feeding programs in a Ghanaian refugee camp. Dee Snider of Twister Sister has joined the cast of Rock Of Ages on Broadway. The folks at Amazon obviously weren’t too bothered by Sufjan Stevens’ dismay at their digital album discounting policy, because you can currently buy the MP3s of his latest, The Age of Adz, at the site for $3.99. Lupe Fiasco’s long-delayed Lasers will finally see the light of day on March 8, 2011.